The Paresh Baruah faction of United Liberation Front of Assam (ULFA-I) has claimed responsibility for the killing father-son duo at Hunjan village under Bordumsa police station in Tinsukia district of upper Assam even as the incident triggered massive public outrage in the area. In an emailed statement to media, ULFA (I) assistant publicity secretary Arunodoi Asom said the duo were killed for operating as spies for the Indian Army and Assam police. A group of four ULFA (I) rebels gunned down Anteswar Mahanta and his son Arun in Dirak-Hunjan village in Bordumsa close to the Assam-Arunachal border on Monday. “They two were spying on us for Army and Assam police for long. They were also trying to persuade our cadres to lay down arms. We had warned them thrice but they did not mend themselves. We have zero tolerance against such elements,” he said. Security sources indicated that there were some flaws in the area dominance in this part of the district where the incident took place. “We have identified the men who were involved in yesterday’s shootout. The same group of four people had demanded money from Konapthar tea estate nearby,” The Times Of India quoted Assam police’s additional DG (special branch) Pallab Bhattacharya as saying. Meanwhile, various organizations including AASU, AJYCP and All Moran Students’ Union on Tuesday took to the streets at Bordumsa in protest against the killing of Mahanta and his son. 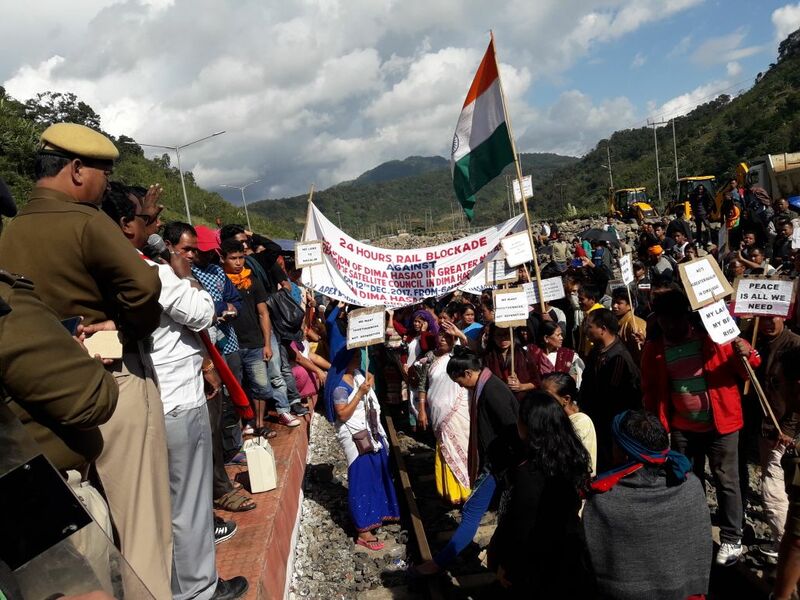 They shouted various slogans against the government for allegedly failing to provide security to the common people and demanded action against the culprits. The AASU today called a Kakopathar bandh which crippled the normal life in the town. The All Moran Students’ Union has called a 12-hour Tinsukia district bandh on Wednesday in protest against the incident. On the other hand, Chief Minister Sarbananda Sonowal and BJP president Ranjit Kr Dass have condemned the brutal killing of Mahanta and his son. Announcing an ex-gratia of Rs 5 lakh to the next kin of Mahanta, Sonowal said the culprits will be dealt with iron hand. Security forces have launched massive operations in the area and nabbed three suspected linkmen of ULFA (I) from Assam–Arunachal Pradesh border in Tinsukia district.